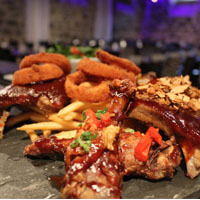 Our Baby Back Ribs are a must! They are braised in the oven 7 to 8 hours, and then flavored with one of our delicious three homemade sauces. At Côtes-à-Côtes, you will discover a varied menu where there is something for everyone, from our perfectly barbecued meals to our freshly made tartars, but above all, our famous confit duck drumsticks! You do not want to miss out on them! The Côtes-à-Côtes Resto Grill is first and foremost a passionate and vibrant team who welcomes you to an ancient building with a modern twist. 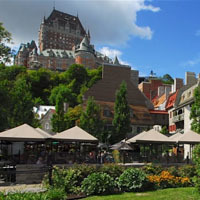 Located in the Petit Champlain historic area at the heart of a lot of activities, you'll have a magnificent view on either the St-Laurent River or the Château Frontenac. Whether it is for a romantic dinner, an outing with friends or a special event, the Côtes-à-Côtes is the place to go to indulge yourselves. Always convivial, the devoted team of Côtes-à-Côtes accompanies you in planning your custom made events of all sorts. Whether it is for a work party, a cocktail, someone retiring, a corporative event, a wedding or simply the birthday of a loved one, we offer varied menus, always adapted to your needs and your budget. 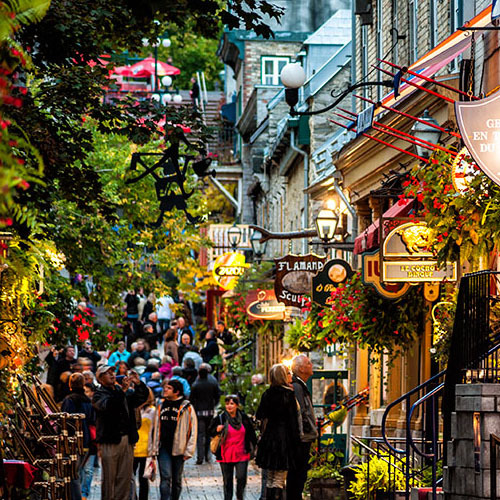 Winner of the “Best street in Canada” award in 2014 from both the public and the jury, the Quartier Petit Champlain is a charming small town on the shore of the river, sporting a spectacular scenery in both summer and winter. It is also a romantic neighborhood that seems to be stuck in time, filled with craftsmen passionate about the local products, supporting the local business to the maximum. Take a stroll in the narrow streets to discover hidden treasures in many shops, the art galleries or in the many historical buildings. A stop in our restaurant is a journey into the history and the architectures of the 1600s. 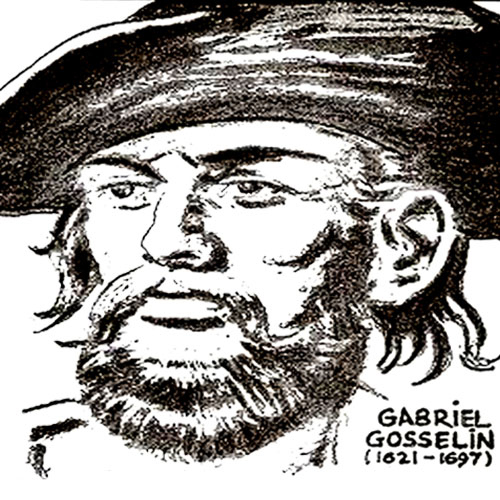 In 1683, Gabriel Gosselin, a rich land owner on the island of Orleans, hires Quebec's best architect, the one who worked on the Notre-Dame-des-Victoires church to build back a house that burnt down. 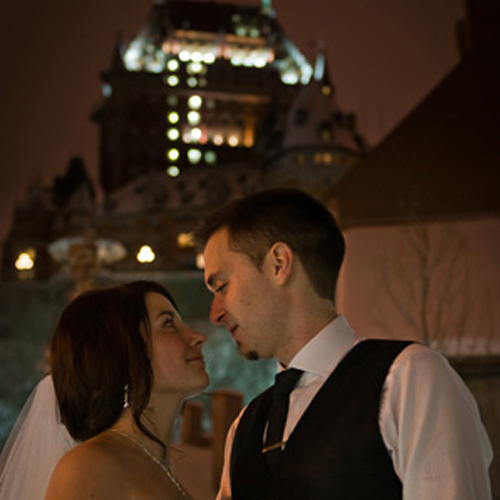 Maybe destined to be a place dedicated to the service of others, it becomes the very first inn of Place Royale in 1698. 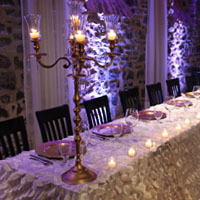 Weddings in restaurants are now trendy since they offer a simple formula and a lot of assets! Many options are offered to you, accordingly to your needs. From the aperitif to the end of the night, through an incredible canapé selection, different menus for different budgets, customized cakes, a lot of possibilities are offered to you.